A Memorandum of Understanding among Chinese and the Indian Ministry of External Affairs signed the opening of a new route to the Kailash Mansarover for the pilgrims who have been using the Lipulekh pass in Uttarkhand. This passage starts from the Nathula Pass in Sikkim and passing through the city of Sahigatse in the Tibetian Autonomous Region. 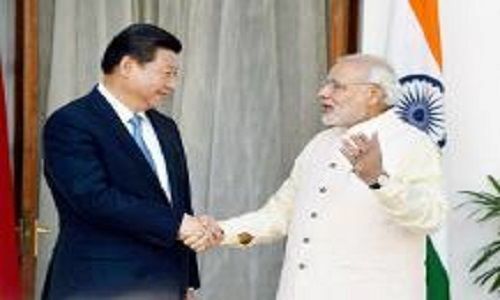 The Chinese Foreign Ministry Said that the willingness to agree with the idea by the both parties was to provide convenience for the pilgrims and “to further promote non – governmental exchanges between the two countries, and make efforts together to enhance the level of Sino – Indian relations”. “This passage is much safer alternative in the rainy season” stated the Prime Minister, Modi. He added that the duration of the pilgrimage is going to be less and the motorable way will be easier for the buses and vans. It is announced that the pilgrims can have access to over 2300 vehicles, in comparison to the older route; this passage is better and convenient for trekking. The elderly pilgrims can take advantage of this fact and proceed to offer their homage comfortably. It is expected that through this new course, the number of devotees climbing up to the upcoming Kailash Yatra, will increase drastically. The two countries have come up with many endeavors together, like the Space research organization of both the countries have agreed to exchange and develop further. They have also agreed to enhance the railway sector. It seems like there is a great future at hand with their friendship.